A web page, a salesperson, and an account manager can tell you one thing, but what you really want to hear is the story of a company executive who’s been in your shoes. When looking for a cloud-solutions provider for your company, it’s important to know how the cloud solutions transition process has gone for those clients who came before you. In this article, we wanted to share with you the highlights of some of our successful case studies so that you can take a peek into the world of cloud-based technology. Want to see more? Hear from industry leaders and small businesses just like you how cloud-based technology solutions from Cloud9 Real Time have impacted their businesses for the better. Lead by accounting industry thought-leader, Doug Sleeter, The Sleeter Group was looking for a reliable cloud-based solution for the array of applications that they use on a daily basis. They notably coined the unique phrase “chunkification,” which is the use of various types of software applications to assist with different types of accounting tasks and services. Supporting each of these applications was time-consuming and labor-intensive, so the Sleeter Group went looking for a cloud-based solution. They chose Cloud9 Real Time. The Sleeter Group was more than impressed with the services they received. “It was probably one of the smoothest implementations of new technology that I’ve ever had,” said Doug Sleeter. According to his employees, the resulting cloud-based technology solution really “felt like home” when they went to use the new system each day. Count On Us, an accounting service firm helping small businesses streamline their accounting tasks, signed on with Cloud9 after they were spending an incredible amount of time traveling to each of their clients on-site locations regularly. Now, with cloud-based hosting services, travel times have been reduced dramatically. By providing their clients with 24/7 cloud-access to their data, Count On Us was able to minimize huge time drains and have more opportunities to focus on providing exceptional service to their clients. As an outsourced accounting solution serving small, medium, and fast-growing businesses, AccountingDepartment.com went searching for a feasible, efficient, and professional cloud-solutions service to help them with their accounting software hosting (like QuickBooks) needs accounting application software programs. Their main concern was speed and usability. Ensuring that a cloud-based system would be just as fast and easy to use as a top-notch onsite tech solution was their main goal. 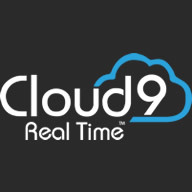 Cloud9 Real Time delivered that solution seamlessly. The team at AccountingDepartment.com were extremely impressed with the speed and usability of Cloud9 Real Time’s cloud solutions technology and infrastructure. Their US-based virtual accounting team now experiences streamlined operations, controlled costs, and excellent security. “With the response from our staff and clients, we know we made the best decision choosing Cloud9 Real Time to host us and take us into our future growth plans,” said Bill Gerber, Co-founder of AccountingDepartment.com. You could be our next exceptionally successful case study. We would love to have a conversation with you about how our cloud solutions can benefit your business, streamline your processes, reduce breakages, enhance efficiency, and help your company function at an optimal level. For more information about what this might look like for your small to mid-sized business, don’t hesitate to contact us.